Yep our orchard of rare apple trees (80 different varieties) are now ready for picking. This year our trees are yielding very early. We have been around hand picking only the ripest and best varieties, bringing them back to the shop for sale. 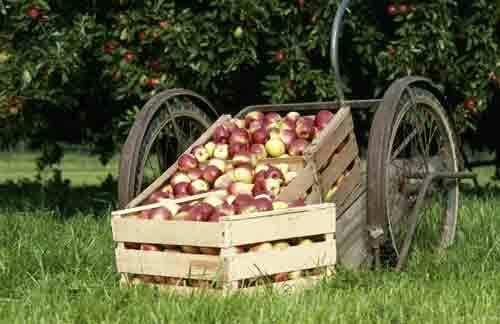 So be quick and take advantage of truly fresh British apples. Support your local grower- and know that you are helping the environment by supporting those with little carbon footprint. Our farm is only 10 miles from the shop! Also don’t miss out on the chance to grab a bottle of our own fresh farm pressed apple juice-we boast 45 different apple varieties in each bottle-now that’s a first!